I am continually amazed at the stuff I come across on the Internet. Recently, a friend turned me on to the work of Ray Kurzweil, a genius and futurist whose book The Singularity Is Near has been made into a movie. YouTube has a way of clumping information. So, today I watched the presentation of another genius who popped up when Kurzweil’s lecture concluded. I once thought I was going to be a mathematician, which fantasy vanished as I struggled through second-year calculus, when I could no longer visualize geometrically the algebraic operations of higher-order equations. Instead of giving up on math, I probably should have avoided analytics and headed over to topology. 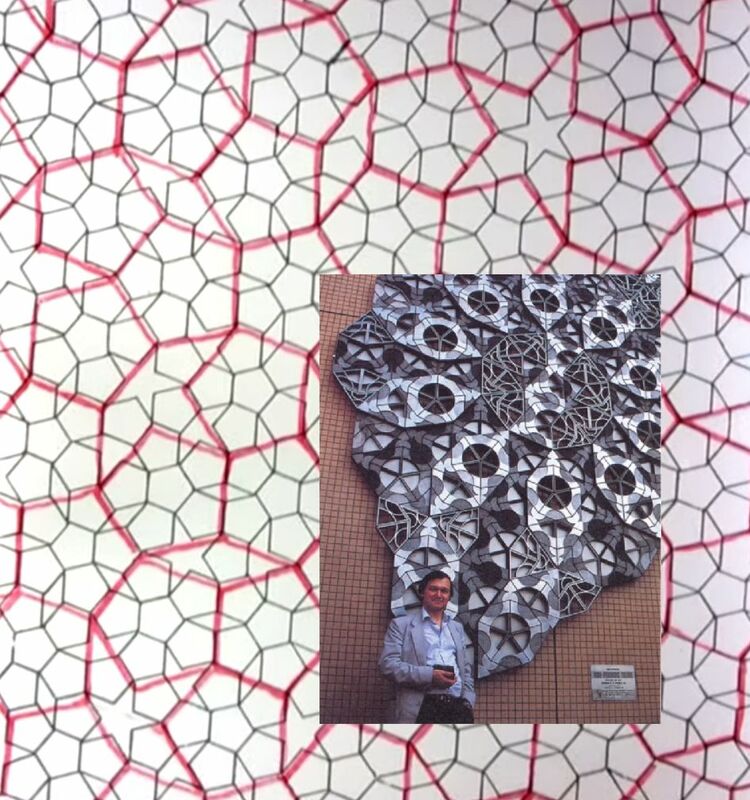 I am still fascinated by mathematical ideas, especially when they have a visual component, which is probably why this presentation by Roger Penrose talking about his tiles caught my attention. In this talk about tiles, Penrose explores mathematical ideas whose roots Pythagoras planted in ancient Greece, ideas explored by Plato, Kepler, Escher, and many others. While I cannot fathom much of Sir Roger’s explanation of how he arrives at the intricate tiling arrangements, it is just fascinating to watch the mind of a genius at work on abstract concepts that have a profound bearing on our understanding of the physical structures, energy patterns and information fields that pervade our reality. Interesting, the way the pentagram keeps cropping up, whose mystical associations are ancient; Euclid devoted a healthy chunk of the Elements to construction of this Pythagorean symbol of Health. This entry was posted in Uncategorized and tagged mathematics, Pythagoreans, Ray Kurzweil, Roger Penrose. Bookmark the permalink.